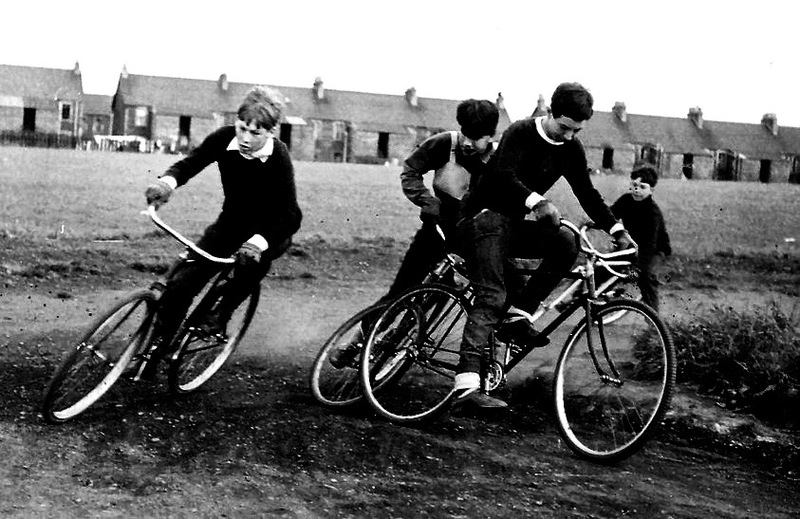 Andrew Hogarth – Cycle Speedway, Edinburgh, Scotland. While starting work on the “About” navigation section of the website I came across a couple of images from the cycle speedway days as a young teenager. If I remember correctly I participated in this dangerous sport for three years from the age of twelve up to the age of fifteen. I played for three sides in my area that were run by Willie Fleets Eastern Organisation, Eastern Royals, Eastern Warriors and Eastfield Eagles. The Royals and the Warriors were in the second division and the Eagles were in the third division. The highlight was winning the third division with Eastfield Eagles. We played sixteen matches and won every match during the regular season. In hindsight we actually had a stronger side in the third division than when this same team played so poorly at the start of the second division season. I remember one year I was given the job of gate keeper during the England versus Scotland international held at Granton’s Davidson Mains track. That was a real buzz for a fifteen year old kid as the crowd in attendance was around five thousand. Fun times! This entry was posted onSunday, August 5th, 2012 at 9:01 pm and is filed under Edinburgh, Scotland. You can follow any responses to this entry through the RSS 2.0 feed. You can leave a response, or trackback from your own site.